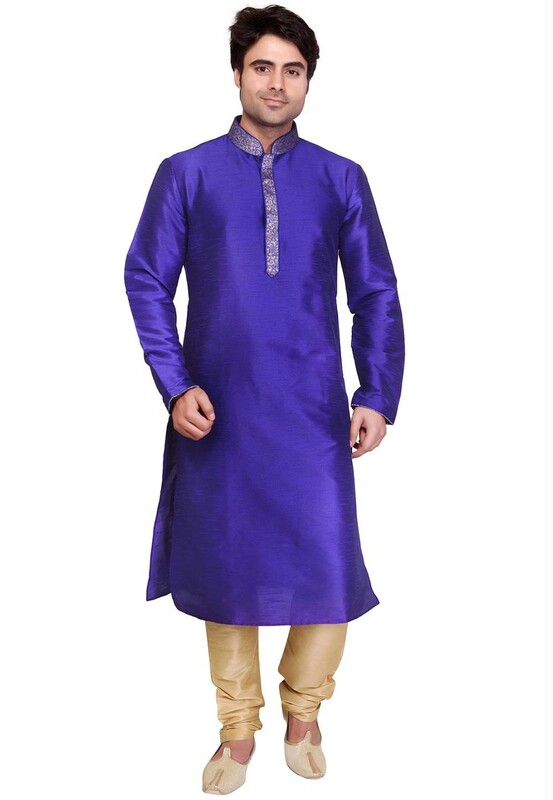 Perfect for distinctive occassions is this stunning Blue Colour Silk Fabric Readymade Kurta Pyjama. 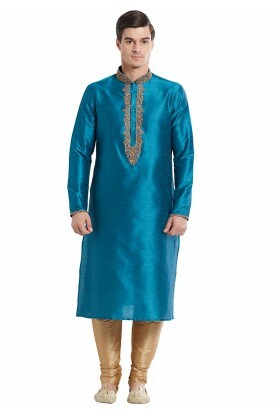 Blue Color Embroidery Work Readymade Kurta Pajama. 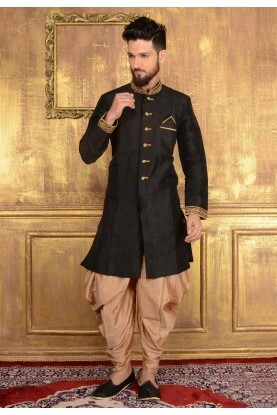 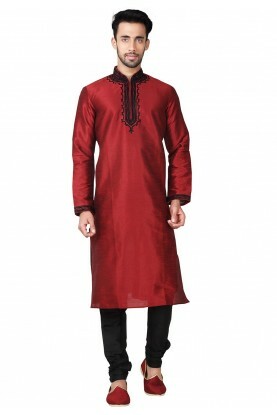 Men's Appealing Raglan Sleeves Black Banarasi Silk Readymade Kurta Pajama. 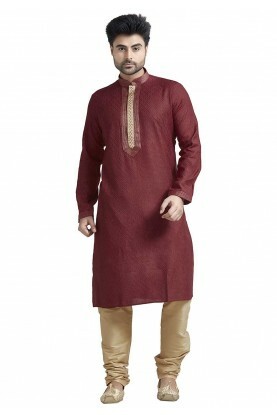 Exquisite Maroon Color Art Silk Fabric Party Wear Kurta Pajama.